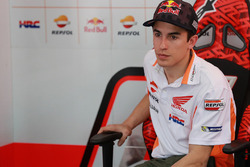 Marc Marquez says he could feel a difference with Honda's new Ducati-style winglet in MotoGP practice at Austin, but stressed the new device has negatives as well as positives. 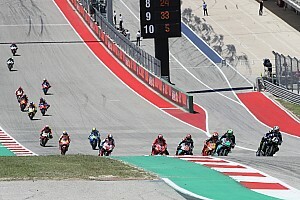 Following the controversy surrounding the Ducati appendage that was protested in Qatar but finally declared legal, Honda introduced its own version of the piece during Friday's second practice session at the Circuit of the Americas, on Marquez's bike. 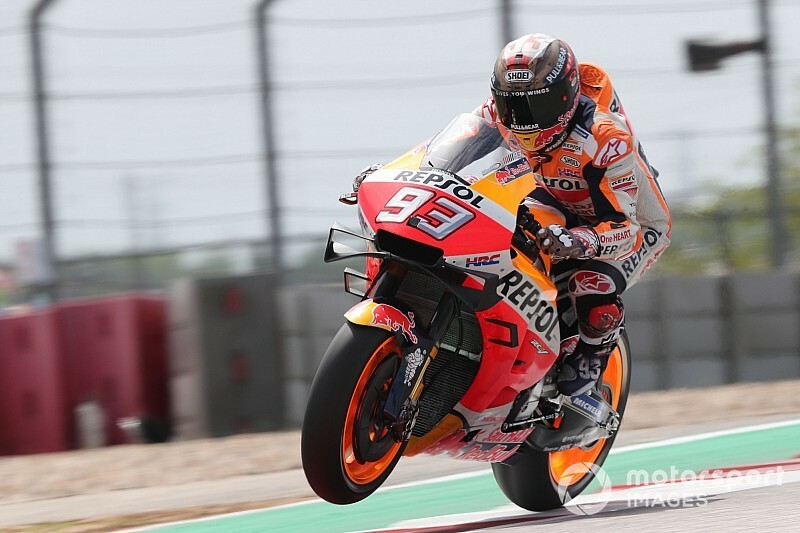 The official reasoning for the part is to stiffen the swingarm, but Marquez admitted the piece also generates downforce, widely seen as the main purpose of the Ducati device. "You saw we tried something on the swingarm, for the stiffness!" said Marquez, tongue firmly in cheek, before adding: "I feel something there that is interesting, but sometimes it’s better to come back, try to analyse, try to understand. Of course we need to take more information about it. 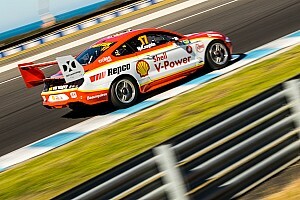 "One of the differences is the braking point. It’s downforce. 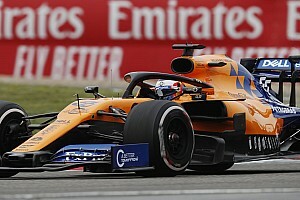 There’s an aerodynamic thing, a little bit, but still we need to analyse more, because also there are some negative points. "Some positives, some negatives. We need to understand which is better for our riding style." After setting the fastest time in FP1, Marquez was narrowly beaten by Yamaha rider Maverick Vinales in FP2 after giving a tow to the Pramac Ducati of Jack Miller late in the session. 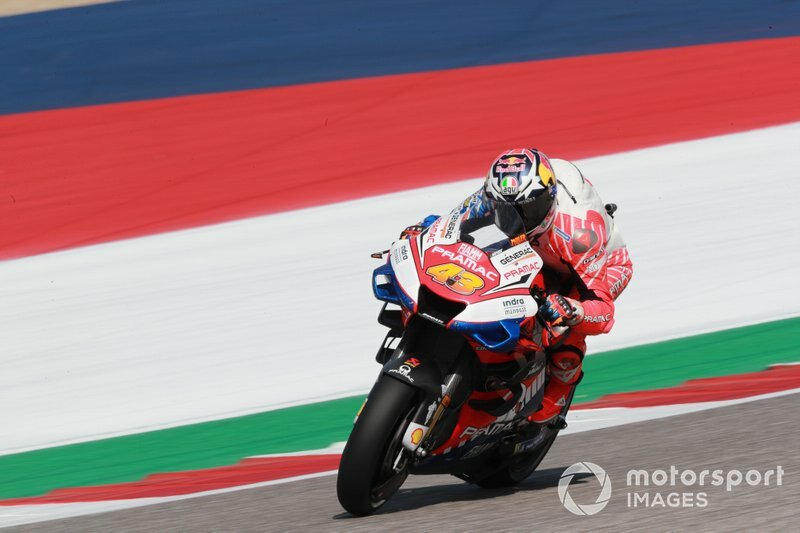 But even though Miller set a faster time while running behind Marquez, the Spaniard shrugged off the incident, pointing out he had gained following Danilo Petrucci in qualifying in Qatar. "It’s normal," he said. "Everyone spoke when I followed [Petrucci] in Qatar, because I was struggling, but it’s normal in Argentina they followed me, here they are following me. "Maybe on another circuit I need to follow someone. But this is racing. 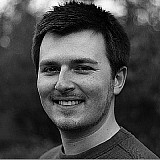 It’s normal Jack tries to follow me, I completely understand, I keep concentrated on my work, which is work for Sunday." 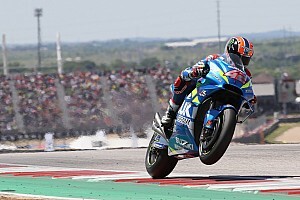 For his part, Miller said his spell behind Marquez was not planned, but admitted he had gained some valuable insights spending time observing the rider with an unbeaten COTA record. "It just worked out great," said the Australian. "I didn't even plan on getting in behind him. We swapped the shock for the middle run and it didn't really work out, so we swapped it back and then we did a run and got out on time. "Literally as the boys were taking the tyre warmers off I peeled out and I saw Tito [Rabat] waiting there and thought, 'surely he isn't waiting for me' and I looked left and saw, 'no, no, he's waiting for Marc'. "Happy with how everything worked out. It was good to get a couple of laps behind him, just to pick up some of the tips that he was doing like [Turns] 6, 7, 8 - he uses a lot of partial throttle around here. "It's more like accelerate just a little bit, and then don't even bother grabbing the brakes again - let the bike sort of roll rather than making the bike do a lot of this. I think that's one of the keys to going fast around here."